A screen door is one of the amazing additions to a home. It would be able to keep your door protected from any outside elements in the Cold season and as well as allow some fresh air enter the house in summer season. Installing screen doors is very easy by following the help steps properly. Someone should be there, to help with the installation, so that the work can be done easily and without any hassle. Go to a local home door seller to get a good deal out of it and as well as save a good amount of money as well. Measurement of the size: Measurement of the opening of the door should be proper. Screen door mostly comes in a standard size, so check the door opening in which it will get a perfect fit. Make sure to find a screen door, which is as close as to the opening of the door, from where shopping can be done. Keep in mind that some sort of trimming might be needed to fit appropriately to the main door. If the door is small in size, then range cap can be installed to level it up with the height. Analyze the door size, common weather of your area. Keeping budget in mind would help to get the best deal from the store. Collect all the tools: Most of the screen doors come with the installation tools with it like hinges. If it has then it is OK or else bring it separately. Other important tools that would be needed to install it would be metal cutter, rulers, power drill, shims, and screwdrivers. Keep all the tools in a box in an organized manner, so that it would be easy to install. Use small boxes for keeping screws, hinges, and other tiny stuff in a place, so that finding one while installation process is going on, won't be a problem at all. Install hinges, handle, and lock: Take someone to help and let him hold the door in a perfect position, so that the mark of the hinges can be taken properly. Once the marking of the hinges is done, then start drilling a hole in the mark with the help of a power drill. Be very careful while using the power drill and keep children out of reach, while the work of the installation is going on. After the work of the power drill is over, then keep the screen door in that position and using screwdrivers to screw with it properly. If handle and lock are not installed, then by using the same method, install it properly. Check for accuracy: Make sure that all the screws, the handle, and the lock is properly installed, so that it won't need to be unscrewed and start over again. If some minor mistakes are seen then try to fix it on the spot, so that later it won't be a big deal. If your area always moist, so it becomes important to apply a rain cap in order to protect the screen doors from the moisture and make it last for a good number of years, without any difficult. Things to keep in mind: Before starting the process, make sure that children are not around as it can be dangerous and when the work of power drill gets over, simply fold the wires and keep it in its place to avoid any hazardous result later on. After the work is done completely, keep all the tiny stuff in place and clean the area properly to avoid anyone getting hurt by the screws or dusty area. 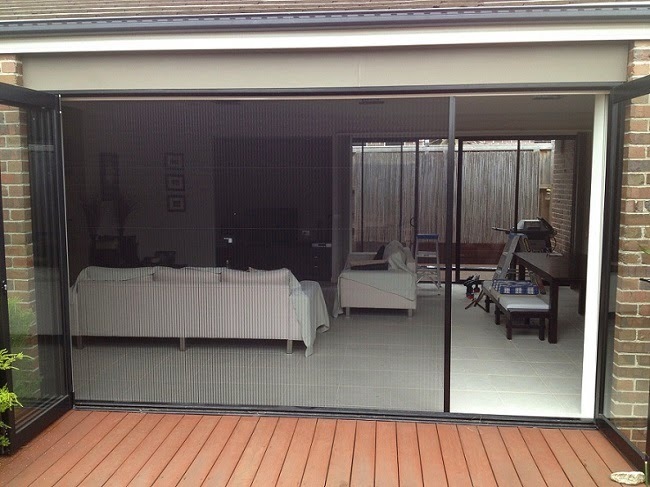 If you want to know more and find out about step by step installing screen doors and services or to call us on 1300 301 344 for a free quote.